Accept Credit Cards and Electronic Checks through your Website. Our Secure, Robust, Payment Gateway Solutions integrate with many of the Value Added Services needed in today's fast paced Environments. Booking Software, Fraud Prevention, Tokenization, Electronic Invoicing and Lot More! Take a Leap into the 21st century and transform your operation with SecureGlobalPay Anywhere Mobile. SOAR to New Heights Accept Credit Cards. Anywhere, Anytime! 2.69 % per swipe. No set up, monthly or hidden fees. Next day Funding. Free Mobile Credit Card Reader and App. SecureGlobalPay is the first of its kind focusing on the outdoor enthusiasts. Whether you’re a teacher, instructor, charter captain or a product developer for the outdoor industry we can help you grow by giving you industry knowledge and the best rates to help your small business grow. SecureGlobalPay will bring your company or idea to new heights. We offer a wide range of products and services that offer lower costs, increased freedom and more benefits for your business. 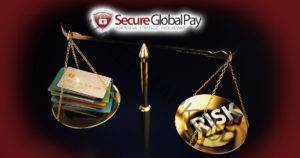 Soar by SecureGlobalPay is a long established full service Merchant Services Provider. Our Fees for Credit and Debit Card Acceptance Solutions are some of the lowest in the industry. Send us your last two months statements and we'll analyze them for free. Let us show you your true cost and how we can save you money. SOAR by SecureGlobalPay is working to meet today's demand for and businesses on the go. We will provide you all the tools needed to succeed today, tomorrow and into the future. Contact us today to learn more about how Soar by SecureGlobalPay can help. 92.7% of Your Customers Will Use Their Credit Cards to Book Their Vacations, Adventures and Activities Online. Do I need any expensive equipment or software to accept credit cards? No. You will need at least a smartphone to enter the credit card information or we can supply you with a credit card reader at no cost. When will I receive my deposits? When can I see my credit card transactions in my bank account? Next day funding is available and you will can see your deposits the next business day. Standard funding times are 24-48 hours. Can I accept credit cards on my website? Yes, SecureGlobalPay specializes in online payment acceptance and has their own robust secured payment gateway to assist you with all of your online payment needs. Is there any long term contacts or closure fees? No, all we ask is that you give us 45 days notice when closing your account to avoid any closure fees or early termination fees. Can SecureGlobalPay supply me with the latest technology while also giving me the best pricing? Yes, SecureGlobalPay's primary focus is to provide the absolute best service in the merchant processing industry today. This letter is to express my deep gratitude for Matt Jackson and Secure Global. As a new business owner and a lot of things going on all at the same time, Matt has done an impeccable job of helping me with anything and always making himself available both over the phone and in person. He is extremely friendly and professional with my entire staff and we’ve come to accept him as part of the team. As our business continues to grow and we are faced with more complicated issues, I know Matt and his team will be right there to help and assist in any way possible. I would highly recommend Matt and Secure Global to other businesses and am confident they will be able to help service you at a high level. I have been working with Secure Global for the past two years. They saved me thousands of dollars in our processing fees! They are a pleasure to work with – extremely knowledgeable, courteous, and very helpful. They definitely “go the extra mile” for their customers!